Avail from us, our exclusive range of ladies hand bags handwoven that come in a wide collection of designs. These are made from high grade quality material and are eco friendly in nature. 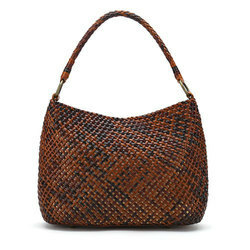 Also, this woven ladies bags are available in different shapes, sizes and colors at optimum cost. Avail from us, our exclusive range of Ladies Woven Hand Bags that come in a wide collection of designs. These are made from high grade quality material and are eco friendly in nature. Also, this woven ladies bags are available in different shapes, sizes and colors at optimum cost. In addition, we are offering customization to our clients in accordance to their requirements. The resort collection is a perfect accompaniment to a summer brunch, an evening cocktail or a night on the town. Made in a range of finishes from shimmery metallics to bright colours, in a soft handwoven leather finish. Chelsea is a handwoven shoulder bag in a signature square weave pattern. It has expandable sides to add more space and is lined with natural dyed cotton silk. 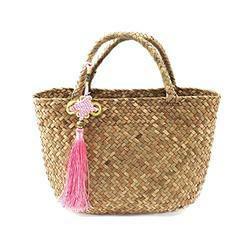 We are a prominent firm, engaged in offering our respected clients with an exclusive range of Ladies Woven Hand Bags. With sincerity and hard work of our professionals, we have carved a niche for ourselves in this domain by offering super quality Woven Handbag. Cocopelee stars the classic tote in a new, compartmentalized silhouette perfect for keeping your essentials organized throughout the day.